You can now find CBD Oil for sale in many places across the country. The Farm Bill 2018 makes it legal to produce, use, and sell hemp-based products in many ways. This includes CBD products such as CBD Oils and Tinctures which are made from hemp and contain less than 0.3% THC. So where are the best places for CBD Oil for sale? Naturally, you’ll find tons of legal CBD in legal marijuana states. However, many other places are also becoming more open to CBD. You can now find CBD in health stores, vape shops, and even specialist CBD shops in many places. Here are some of the best places to buy CBD Oil. California is one of the most liberal states you can find. Cannabis is legal for both recreational and medical purposes, and many people use strains, edibles, and cannabis oils to treat all kinds of symptoms. That means you’ll also find it extremely easy to find CBD Oil. Whether you get it from a dispensary, head shop or health store is up to you. However, you shouldn’t have any problem finding high-quality CBD Oil. Colorado is another state where cannabis products have been legal for a long time. Adults can easily get their hands on cannabis oils in many ways. Even if you’re under 21 or don’t have a prescription, there are plenty of hemp-based CBD Oils on sale around the state. CBD products are in high supply. Whether you need a simple CBD Oil, some tasty CBD Edibles or even something like a CBD Topical, it should be easy to find. This is one of the best places for CBD Oil for sale. Florida is one of the underrated states when it comes to getting CBD products. Although recreational use of cannabis products is still illegal, the medical program in Florida is booming and many people use THC and CBD Oils to treat medical issues. Hemp CBD products are also in high supply, so you shouldn’t have any issue getting CBD Oil. Check out health stores or vape stores for CBD vape oil. This is one of the easiest states to get high-grade medical CBD. Up in the northwest, Washington is a fantastic place for CBD users. CBD Oil is fully legal and you can find it in many smoke shops and dispensaries. Of course, marijuana is also legal for adults, so THC/CBD oil is also available for those who want a psychoactive kick to their medicine. There’s a lot of CBD on sale here and you can find it in many places. It’s also fairly cheap, so if you live in Washington state you won’t find it too difficult to satisfy your CBD needs. The United States isn’t the only place where CBD is widely available. In fact, some provinces in Canada may even have the US beat. Alberta has become renowned as a huge destination for cannabis and cannabis products. They have more legal stores than any other Canadian province and adults are able to get all the products they need from the age of 18. Of course, medical users are also well-covered. There are plenty of CBD Oils and you can also mix it up with CBD if you want. With such a young legal age and a high supply of products, this is one of the best places to get CBD and other such medical products. If you head to the east of Canada you’ll also find plenty of CBD in Quebec. Quebec has very relaxed laws on cannabis which allow anyone aged 18 or over to buy it in legal stores. There’s a high supply of marijuana, but there are also plenty of CBD Oils, Tinctures, Edibles, Topicals, and other great medical products. You can find many CBD stores across the province, especially in the capital of Quebec. This one of the best places for Canadians to get their hands on CBD Oil. Oregon is another one of the big hitters when it comes to CBD. Cannabis has been legal for a long time, and stores now sell everything from strains to edibles to premium cannabis oils. That means that, even if you want a little THC in your oil, you’ll find it easy to get. CBD Oils are also widely available. You can check out smoke and vape shops or go to one of their many legal dispensaries. While you’ll need to be 21 if you want marijuana-based oils, hemp oils are much more widely accessible. You might see Nevada as a party state thanks to Las Vegas, but you can also get all of your medical needs met here. Much like California, Oregon, and other such states, marijuana products are fully legal. Hemp products are also widely available, so there’s plenty of ways to get CBD. Nevada is packed with stores and you can find CBD in many places. If you need a quick dose of CBD Oil, you can find it all across the state. Another top Canadian province that sells CBD. While Ontario is still straightening out their marijuana supply, citizens can still get CBD in many stores across the province. Of course, the capital of Toronto is the best place to get it. But even in some of the smaller cities and towns, you’ll find stores which supply CBD. You can use CBD safely and legally here without any hassle. While it might not be a physical place, buying CBD online is often the best approach. For one, you can find any product you need at a great price. You can also check out user reviews and make sure you’re getting the best bang for your buck. Another huge benefit of buying CBD Oil online is that you can get it sent straight to your door. It doesn’t matter whether or not you have CBD suppliers nearby when you can just get it via delivery. JustCBDStore provides high-quality CBD Oil and other CBD products to every U.S. state. Every order is sent out with safety and privacy in mind, so you can rest assured you’ll get your CBD in pristine condition. 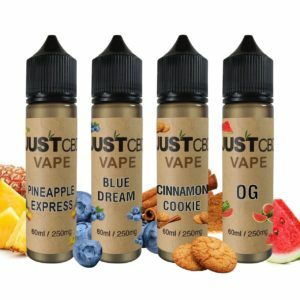 CBD Juul Pods: Do They Work? 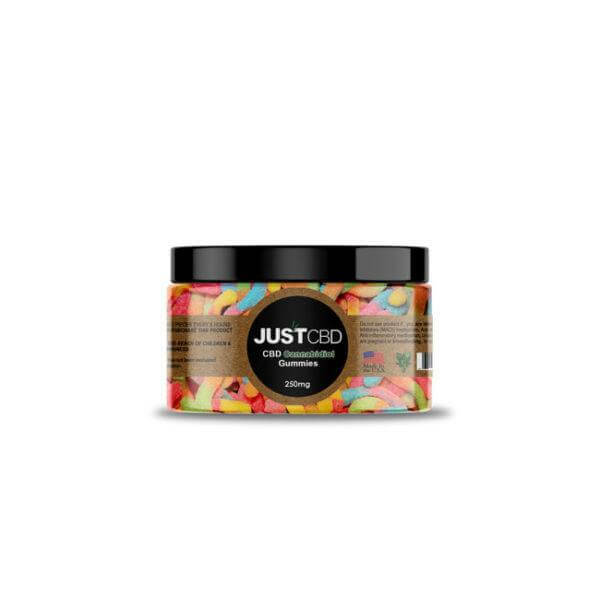 There’s a lot of unique CBD products out there, one of which is CBD Juul Pods. These pods work much in the same way as CBD vape cartridges, only they’re designed for use with Juuls- a particular brand of vaporizer. Like with other vape products, they’re designed to give you the effects of CBD in a fast and convenient manner. So do they work? Juuls are a popular product taking over the vape and e-cigarette market, and you can now use them with CBD. Here’s a guide to CBD Juul Pods, do they work, how to use them, and what are the alternatives. Many people choose to use CBD vape products to get the helpful effects of cannabidiol. There’s a lot of variety in vape products, from regular vaporizers to portable vape pens. However, one of the most popular brands of vape pen or e-cigarette is the Juul. Juul is a type of vape pen known for its rectangular form. While most vape pens and e-cigarettes are more cylindrical, and use the same kind of cartridges, Juuls use a different kind of cartridge known as a Juul pod. You can buy many custom-made Juul pods filled with flavored tobacco, THC or CBD. You simply attach them to your Juul in order to heat up the product and inhale the vapor. This provides an alternative option to other methods such as oils, tinctures, and edibles. You can also get empty Juul pods, which you can fill up with CBD vape-oil in order to vaporize the product and get the effects. CBD Juul Pods work in just the same way as a regular vape cartridge would. As long as you have a Juul, you can use these pods filled with CBD safely and effectively. Your Juul will heat up the product to create vapor, which you can then inhale for all-over body and mind effects. So how will CBD Juul Pods make you feel? CBD has many effects- it helps relieve pain, reduce anxiety, and provides medical relief for things such as cancer, seizures, nausea, migraines and more. CBD will not make you high, but it will give you a slight relaxing effect and make you more stress-free. As such, CBD Juul Pods can be effective for medical purposes. If you need fast treatment for things such as pain and physical tension, loading up a CBD Juul Pod in your Juul can offer quick relief. Many people also use CBD for its general effects. It helps you sleep better and prevents the risk of various health issues, meaning it’s useful even if you don’t have a medical condition. 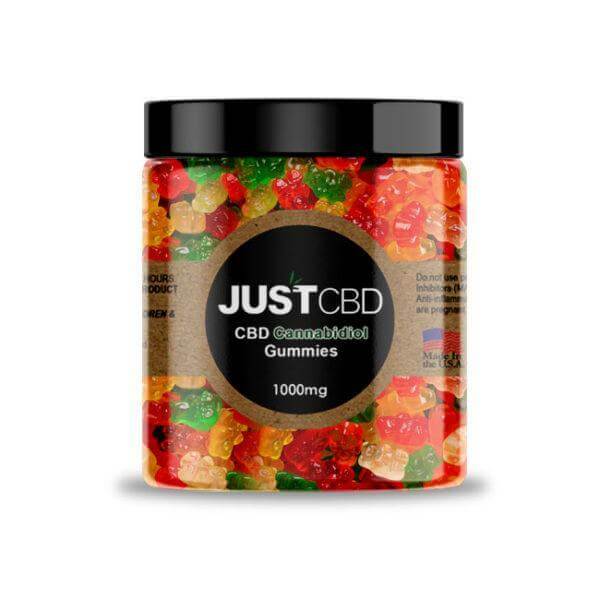 There are all kinds of CBD products out there nowadays, so why use CBD Juul Pods? 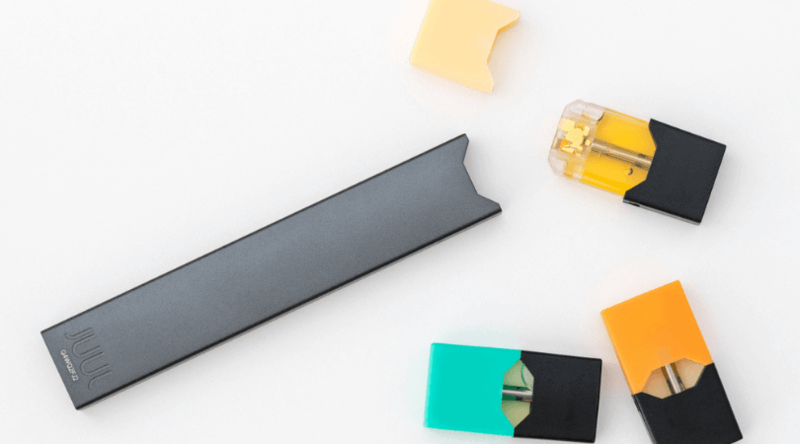 While there are plenty of other options, CBD Juul Pods may suit users who are used to using a Juul. Juuls are becoming a popular vaping product due to their unique style and form. Many people use these not just for CBD, but also flavored tobacco, vape oils, and other such products. Using CBD Juul Pods offers a quick way to get a healthy dose of CBD with your Juul. Like with other vape pens, it’s also very convenient. You can use these pods to get the effects of CBD wherever you are. Plus, after you inhale, you can get effects such as pain relief and reduced anxiety within around 20-30 minutes. This makes it very useful for those who need the effects of CBD regularly. It can also be enjoyable. Vaping brings out the flavor of products, and with many CBD vape-oils designed to taste delicious, it can be a very enjoyable way to take CBD. Of course, you do have plenty of alternatives to choose from. In addition to other kinds of vaporizing products, there are also many completely different ways to use CBD. All of these are safe and effective, and the choice often simply comes down to personal preference. CBD Vape Oils can be used in any kind of vaporizer. You can fill up a Juul pod with these or simply use it in a regular vape pen. Vape oils come in various tasty flavors based on popular strains such as Blue Dream and Cinnamon Sugar Cookies. 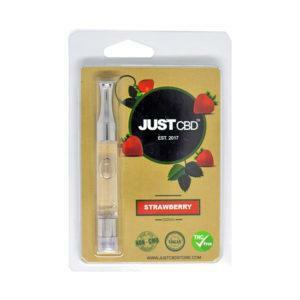 Alternatively, you can also use CBD Vape Cartridges with certain kinds of vape pens. These also come in many great flavors. CBD Tincture or CBD Oil is a very popular and convenient way to take CBD. It only requires you to drop a small amount of oil under your tongue and hold it there for around a minute or two. You get the full effects of CBD for both your body and mind, and it also works within around 20 to 30 minutes. This makes CBD tinctures one of the most popular options for those who need quick and easy treatment. 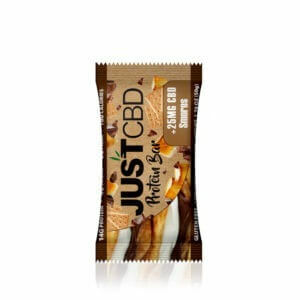 CBD Edibles come in many different forms, such as CBD Dried Fruit and CBD Protein Bars. The fun thing about this kind of treatment is all you have to do is eat them. They can take a little longer to take effect on your body, as they need to be digested first. However, they do provide you with all of the great medical benefits of CBD. CBD Doobies are another interesting option. These are pre-rolled joints made purely with hemp instead of marijuana. They won’t get you high, but they will give your body all of the medical perks of cannabidiol. For those who love a good smoke, these can be a very enjoyable way to use CBD. CBD Topicals are slightly different. They only work on your skin and won’t give you the mental benefits of CBD. However, they’re an effective way to get pain relief and clear up skin problems. 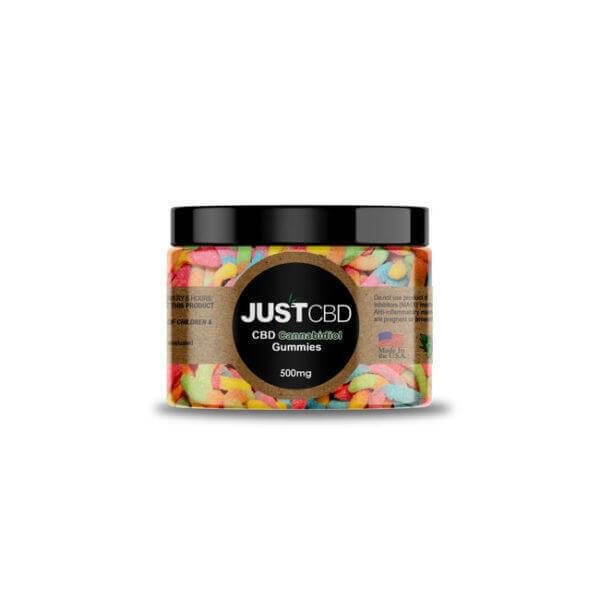 Examples include CBD Pain Cream and CBD Bath Bombs. 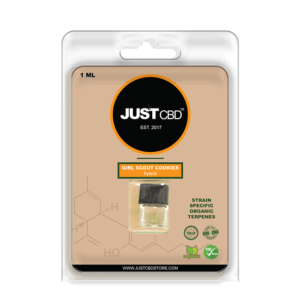 If you use a Juul, then it’s well worth trying out CBD Juul Pods. They can work effectively at bringing you the effects of CBD in vapable form, and studies suggest vaping is healthier than smoking. You can also fill up empty pods with CBD vape oil. If you don’t use a Juul, you can always use vape products with other vaporizers or opt for a different method of CBD consumption. 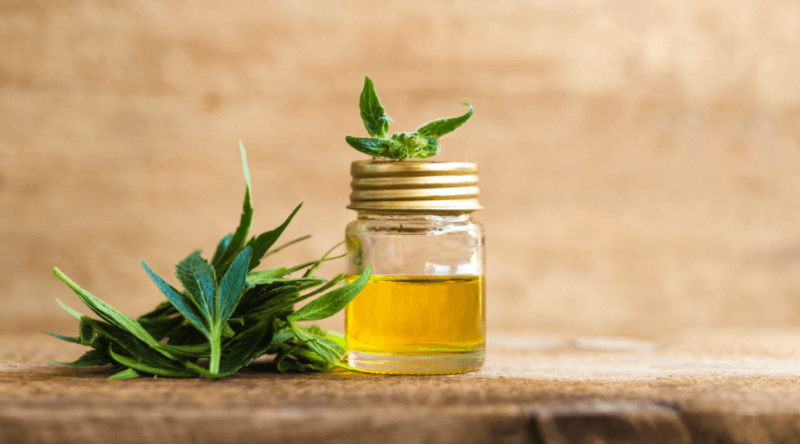 What are the Major Side Effects of CBD Oil? CBD is growing in use as a treatment for pain, anxiety, depression, seizures, and even cancer. In fact, a large-scale CBD study found that 80% of users found it useful for their symptoms and 42% even completely abandoned traditional medications in favor of it. More and more people are turning to CBD as an alternative treatment, but it does raise some questions. For instance, what are the major side effects of CBD Oil? Like with any new treatment, users need to be clue themselves in when it comes to CBD Oil side effects. However, the good news is that CBD is actually extremely safe to use and the side effects are minimal. Here’s a guide to the side effects of CBD Oil and everything else you need to know. Before delving into the side effects of CBD Oil, it’s helpful to know exactly why people use it. CBD Oil uses CBD extract from hemp and cannabis plants to create a unique medical product. When consumed, CBD has some incredible effects for the human body which make it a powerful treatment. For instance, CBD has analgesic and anti-inflammatory effects. This makes it especially useful in the treatment of pain and inflammation. Many users use it to relieve chronic pain almost instantly. It can also help with aches, strains, and muscle recovery, making it very useful for physical issues. However, it’s also fantastic for your mental health. Studies show that taking a high dose of CBD can relieve symptoms almost instantly. Similar results were found in the use of CBD for anxiety. It can help with PTSD, OCD, generalized anxiety disorder, social anxiety disorder, and other related issues. Unlike THC, CBD even has antipsychotic effects and can help in the treatment of schizophrenia and other mental health disorders. CBD also has anticancer effects. Studies have shown that CBD actually fights against cancer cells in the body and could help prevent it. In addition to that, cancer patients often use CBD to reduce nausea and vomiting, increase their appetite, and improve their mental state. These wide-ranging benefits can improve the quality of life of patients and spur on recovery. In addition to all that, CBD also treats insomnia, epileptic seizures, migraines, and many other medical issues. In fact, even consumers who aren’t suffering from health problems may use it to improve their overall health and wellness. So what is there to be worried about? Since it has such a powerful impact on the body, users will wonder what exactly are the side effects of CBD Oil. However, unlike conventional medications, CBD is actually very risk-free when it comes to side effects. Many studies have been carried out on the use of CBD for various ailments. Throughout all this research, only very minor side effects have been identified. CBD users may occasionally feel dizzy and nauseous. In some cases, it can cause diarrhea or vomiting. It can also cause changes in mood and appetite. As far as side effects go, these are fairly uncommon and also fairly minor. There are actually no major side effects to worry about with CBD Oil. Even the World Health Organization vouches that CBD has a good safety profile. It’s well tolerated in humans and there are no public health problems with the use of CBD Oil. In other words, you can use it safely without any concern about health risks. Another concern many beginner users have when it comes to CBD is whether it will make you high. CBD is often found in cannabis plants, hence why people often associate it with marijuana. However, CBD will not make you high. THC is the chemical compound in plants that makes marijuana users high. On the contrary, CBD has no psychoactive effects. While it can cause a sense of relaxation, reduce stress, and help your body in numerous ways, it will not give you any kind of high or make you feel intoxicated. Many CBD products are now made from hemp. This means they contain only trace amounts of THC and can not give you any kind of psychoactive effects. This makes CBD treatments extra safe for all patients. 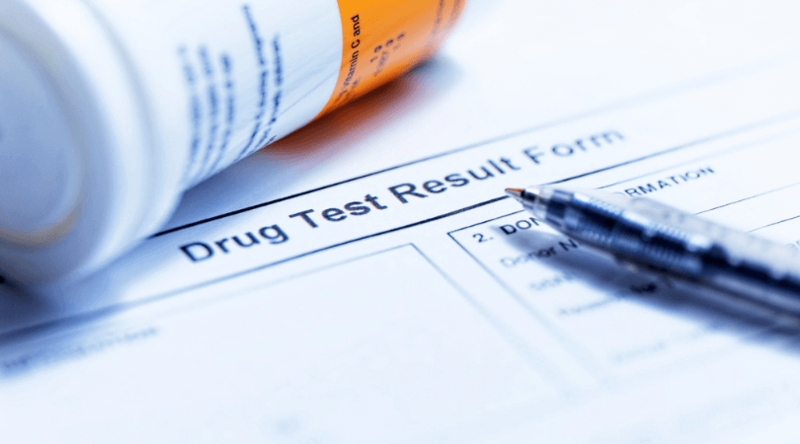 Patients often also consider whether a treatment is addictive before they try it. For instance, pain medications can often cause serious physical dependence in patients and carry harsh withdrawal symptoms. However, once again, CBD is remarkably safe in this aspect. You can use as much CBD as you want without any worry of addictive qualities. In fact, one study even found that CBD can help treat patients with addiction issues and prevent relapse. The only concern when it comes to CBD and addiction is if patients depend on CBD too much for treatment. While CBD can help with all kinds of symptoms, in some cases, it’s best used in conjunction with other methods. For instance, while CBD reduces symptoms of depression and anxiety, it may feel like a crutch, and therapy can still help treat the underlying causes. With that said, you can use CBD safely without worrying about addiction. Another benefit of CBD is that you can not overdose on it. It’s actually safe to use in all quantities without any risk of overdosing. In some cases, taking too much CBD Oil may result in minor side effects, such as dizziness or diarrhea. However, unlike with many other substances, you won’t experience any serious health problems by taking a lot of CBD. Some patients use regular high doses of CBD to treat things such as seizures and anxiety. It’s shown to be very safe to use, even in high amounts. This is another one of the safety benefits of using CBD treatment. When it comes to CBD Oil side effects, there’s not a lot to worry about. Occasionally, users may experience dizziness, diarrhea, and changes in mood and appetite. However, most will experience no side effects from using CBD Oil. What’s more, it’s non-addictive, non-psychoactive, and it’s impossible to overdose on CBD. This makes it an extremely safe treatment and a fantastic risk-free alternative to many traditional medications. CBD treatment has become a popular choice for patients with all kinds of conditions, from chronic pain to seizures. But it doesn’t just come in one form. 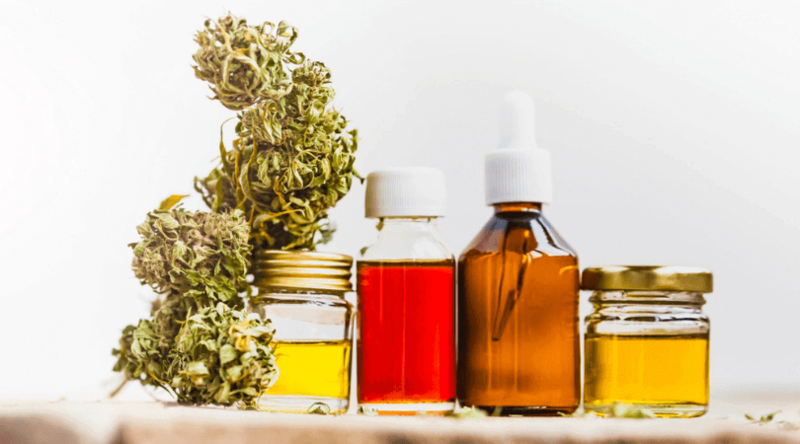 You can use CBD Oils, Edibles, Topicals, and many other methods, and it helps to learn how to identify different types of CBD products. For the most part, all of these CBD products will give you the same benefits. However, there are some key differences in how they’re used and how they work on the body. Some are faster, some are more convenient, and some are applied in different ways. Here’s a guide on how to identify different types of CBD products. CBD Oils or Tinctures are a very popular method of CBD treatment. You can identify them as they come in a small bottle complete with a dropper. They’re used by taking the dropper and applying a small amount of the liquid under your tongue, where you can hold it to absorb it into your body. Many users opt for oils/tinctures as they’re a very convenient way to take CBD. You can absorb them within seconds and feel the effects within around 20 minutes. They can give you fast-acting relief for things like pain, anxiety, depression, and a range of other symptoms. There are a few different types of CBD Oils. Full Spectrum Oils will give you extra benefits, as they use the whole of the plant which contains other cannabinoids and terpenes. CBD Isolate Oils use pure CBD, which is useful for those who want the benefits of CBD and nothing else. CBD Edibles are another popular method of CBD consumption. There are actually many different types of CBD Edibles. 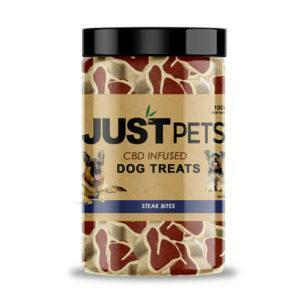 For instance, you could use CBD Gummies, CBD Protein Bars or CBD Dried Fruit. Edibles can take a little longer to make their way around your body than oils. They need time to digest. However, they will give you very potent medical benefits for both your body and mind. They also offer a fun and tasty way to use cannabidiol. You can identify CBD Edibles by the packaging. Whether they come in the form of chocolate, gummies or other snacks, you can see what’s inside and how much CBD each serving will give you. You can also find various topical products which are infused with cannabidiol. Like edibles, these can come in various different types. For instance, you can use CBD creams, body sprays, lotions, salves, balms, and practically any other kind of skincare product. CBD Topicals are slightly different than other CBD products as they don’t reach your bloodstream. You apply CBD Topicals directly to the skin, which will absorb the cannabinoids for beneficial effects. This makes CBD Topicals very useful for localized pain and inflammation. CBD Topicals can also help clear up skin conditions like acne and dermatitis. However, they will not help with things like depression and seizures. CBD Topicals generally look like regular topical products, although the packaging will tell you how much CBD is inside. Examples include CBD Pain Cream and CBD Bath Bombs, which you can add to your bath for all-over body effects. If you enjoy vaping, you’re likely familiar with vape oils, cartridges, and e-juices. If you look in CBD stores, you can find all kinds of these vape products full of the benefits of cannabidiol. You can add these to your vaporizer or vape pen to get a wide range of medical perks. Much like with oils or tinctures, vaping can give you almost instant effects for both the body and mind. You won’t get high, but you will get effective relief for pain, stress, anxiety, depression, and many other ailments. Look specifically for CBD Vape Cartridges and CBD Vape Oils. These come in many different flavors, often based on popular marijuana strains. This gives you a ton of choice when it comes to how to enjoy your CBD. One of the most potent ways to use CBD is with CBD Isolate. You can identify these products as they come in powder or crystal form. 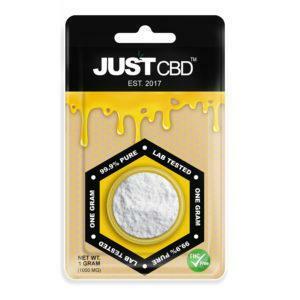 This is basically isolated CBD powder which you can use in many different ways for strong effects. You can blend CBD Isolate into oils or tinctures for more powerful effects. They can also be mixed in with cooking oil or even added to drinks to get the great benefits of cannabidiol. They’re a strong and versatile product which give you many options on how to consume your CBD. If you enjoy the experience of smoking joints but don’t want to get high, then look out for CBD Doobies. These are pre-rolled doobies that are made purely with hemp instead of marijuana or other substances. You can smoke these for the beneficial medical effects of CBD. They can offer fast-acting pain relief, help with anxiety and stress, and also ward off various health problems. While smoking can be harsh on your lungs, it makes for an interesting alternative for those who enjoy the experience. 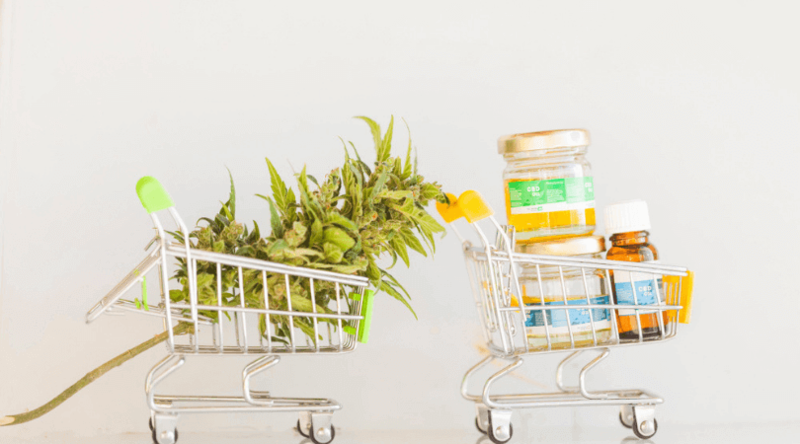 CBD Products: Hemp or Marijuana? Notably, CBD products can be made out of either hemp or marijuana plants. Both of these plants in the cannabis family contain good amounts of CBD. The CBD can be extracted for use in all kinds of products. The difference is that, while marijuana products are still illegal in many parts of the country, hemp-based products are legal in all 50 states. As such, customers should check the packaging to ensure they’re getting hemp-based CBD if they’re not in a legal state. You can use hemp CBD products without a medical prescription. 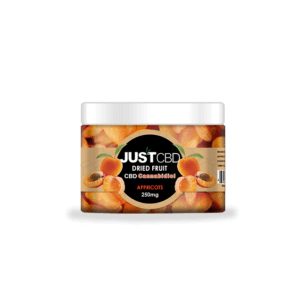 JustCBDStore uses hemp products to make it especially easy for customers to get all different types of CBD products. With all the different types of CBD products, it can get confusing sometimes. However, you can identify these by their significant differences and decide which one is best for you. All of these can be effective, and it often comes down to what suits you best. 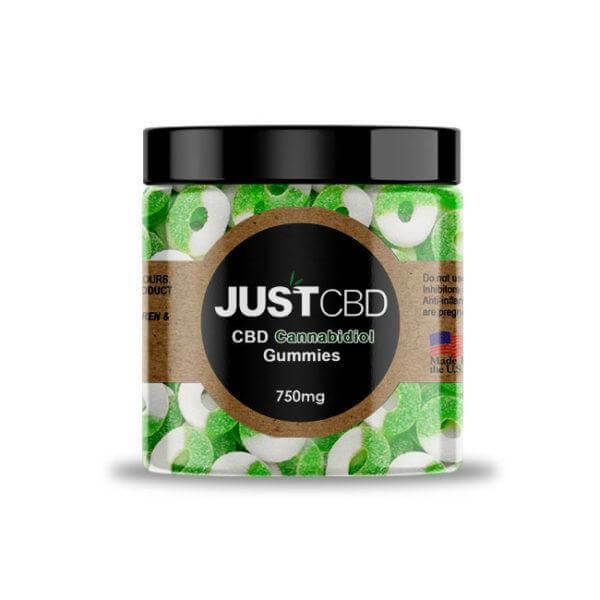 Whether you prefer the fast-acting effects of CBD vape oils or simply eating CBD gummies, there are plenty of options when it comes to CBD treatment. Safe, natural, and non-intoxicating, CBD Oil has become one of the most incredible and sought after medical products. Some users use CBD Oil simply for its general benefits. Taking a daily dosage can protect your body from all kinds of health problems and improve your quality of life. Scientific research also shows that CBD Oil can effectively help treat a range of serious medical conditions. In fact, you’ll be shocked at some of the benefits of using CBD Oil. CBD Oil is now legal to use in all 50 states and you don’t need a medical prescription to buy it. It’s made with hemp and contains less than 0.3% THC, which means people of all ages can use it safely without any negative side effects. So why exactly should you use it? Here are 10 insane benefits of using CBD Oil. The first, and probably the most obvious reason to use CBD Oil is that it can help significantly with pain and inflammation. Much research has been done on the effects of cannabidiol on the body and its effects on pain. Not only can CBD reduce the sensation of pain, but it also reduces inflammation and can help heal many painful conditions. It can even be useful in hard-to-treat, chronic pain disorders such as arthritis, fibromyalgia, endometriosis, and MS. It can also help with injuries, muscle strains, and all other kinds of physical pain. It only takes a 25mg dose of CBD to help, making it extremely useful for sufferers of pain. CBD doesn’t just help you physically. It also has significant benefits for your mental health. Depression is a widespread problem which can affect anyone. Statistics from the Anxiety and Depression Association from America state that 322 million people worldwide suffer from some form of depression. Fortunately, CBD can help reduce depression significantly. In fact, CBD can have an almost instant effect on depression. A 2019 study found that cannabidiol could reduce symptoms of depression within 30 minutes. It increases certain brain chemicals which put you in a more positive mood. This can be hugely helpful for those who regularly suffer from mood problems. In addition to depression, CBD can also help treat anxiety. Scientific research shows that CBD can counteract social anxiety, generalized anxiety, PTSD, OCD, SAD, and various other anxiety disorders. In fact, a study on using CBD for social anxiety found that a 600mg dose of CBD could reduce symptoms within less than an hour. As if relieving pain and improving your mental state wasn’t enough, CBD might even make you look better. In addition to its antibacterial and antioxidant properties, CBD also has sebostatic effects which can help clear up acne. The American Academy of Dermatology also states that CBD can help treat acne, dermatitis, and other skin problems and even have anti-aging effects on your skin. CBD also has neuroprotective properties. In other words, it can help improve brain function and prevent the risk of various neurological disorders. According to studies, CBD helps treat malignant brain tumors, Parkinson’s disease, multiple sclerosis, epileptic seizures, Alzheimer’s disease, and neuropathic pain. The effects it has on protecting the brain are incredible. In fact, one study found it can help recover the brain after serious brain trauma. While patients with neurological disorders will benefit from CBD significantly, it can also help general brain function and protect against brain disease in regular users. Many people turn to medical cannabis to help with anxiety, depression, and other mental health issues. However, while THC can sometimes worsen serious mental health issues such as schizophrenia, CBD actually has antipsychotic effects. Research shows that CBD has significant antipsychotic properties. It can help prevent psychosis and help improve brain function for sufferers of mental health issues such as schizophrenia. It’s also much safer than antipsychotic medications, making it an invaluable option for patients. One of the most insane benefits of using CBD Oil is that it can actually help treat cancer. Studies show that cannabidiol can fight against cancer cells and inhibit the growth and spread of cancer in the body. In addition to this, it can also help reduce the pain, anxiety, and loss of appetite that often comes with cancer treatment. It can be a significant help when used in conjunction with treatments such as chemotherapy. 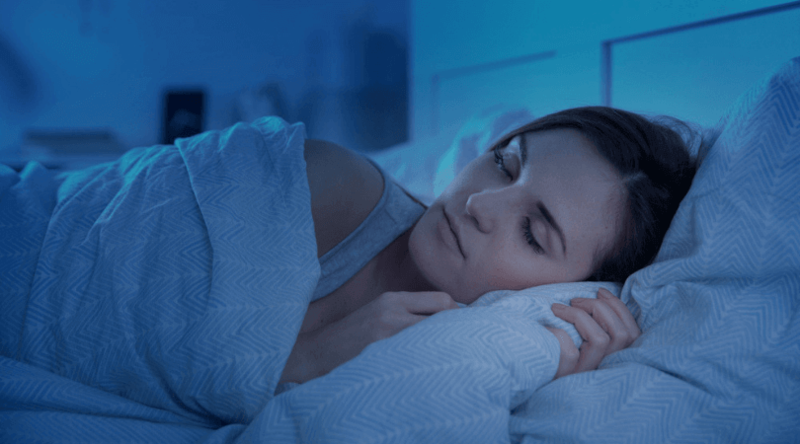 CBD can also help with sleep. For instance, a sleep study found that high dosages of CBD could induce sedative effects which helped insomnia sufferers get to sleep. CBD can also help by reducing symptoms such as anxiety and pain, which can often prevent sleep. A study on using CBD for anxiety found that sleep scores improved for 67% of anxiety patients. Many medical treatments can carry harmful side effects. For instance, prescription medications for pain, anxiety, and many other disorders are often addictive. However, not only is CBD non-addictive, but it can also help prevent addiction. A fascinating study in the Neuropsychopharmacology journal found that CBD can help prevent relapse in users who are addicted to other substances. For instance, it can help alcoholics ween themselves off alcohol and prevent relapse. Additionally, it can also help anxiety and depression which often contribute to addiction. This makes it a safe and interesting therapeutic treatment for those who suffer from all kinds of addictions. One of the best reasons to use CBD Oil is the fact that it can help prevent the risk of many health problems. In addition to fighting against cancer, neurological disorders, and mental health issues, it can also reduce the risk of diabetes. A study on rats found that CBD use lowered the incidence of diabetes from 86% to 30%. Now you know 10 of the most insane benefits of using CBD Oil, but there are many more. It can also help with migraines, nausea, glaucoma, heart problems, and many other minor and major health issues. If you want to start using it, all you need to do is buy CBD Oil online and start reaping the benefits. It’s safe, legal, and your body will love it. Want a new way to take CBD and a way to make your food healthier? Try cooking with CBD Oil. While CBD Oil makes cannabidiol treatment quick and easy, you can make it even more fun by infusing all kinds of recipes with CBD. You don’t have to be a world-class chef or even have any cooking knowledge. You can add a dose of CBD to all kinds of foods in just a few drops. There are a couple of methods to cook with CBD Oil. However, anyone can do it and it can add some massive health perks to your food. You get the benefits of stress relief, pain relief, muscle recovery, better sleep, prevention of diseases, and a whole lot more with one simple ingredient. Here’s a guide on how to cook with CBD Oil. Why Cook with CBD Oil? CBD can quickly make any meal or snack into a superfood. It boasts anti-inflammatory, antibacterial, antioxidant, anticonvulsant, and even anticancer properties. It can also prevent the risk of many serious health problems and improve your mental and physical wellbeing in general. All you need to start cooking with CBD Oil is a bottle of CBD Oil or Tincture. You can buy CBD Oil online and use it in all kinds of ways. While many people use CBD Oils by dropping it directly under their tongue, adding it to your cooking can make for a more fun way to take it. CBD Oil is absorbed into all kinds of fats and oils. It can also be infused into liquids. This gives you plenty of opportunities to cook with CBD Oil. You can add it to your meals or even use CBD recipes to make some fantastic healthy creations. Cooking with CBD Oil is easy for anyone to do. In fact, there are multiple ways to use it in your cooking. You can infuse CBD Oil into fat and oil-based ingredients. This includes butter, olive oil, coconut oil, and lard. You can add it to the oil when you cook your meal or even bake recipes by adding CBD to the mixture. Just mix the CBD with the fat or oil to give your food an extra health kick. Another option is to simply drizzle your CBD Oil on top of your food. Since you can take it orally, it will digest into your system where it will take effect on your body. However, this method may affect the taste of your food and is also less effective than infusing it into oils or fats. 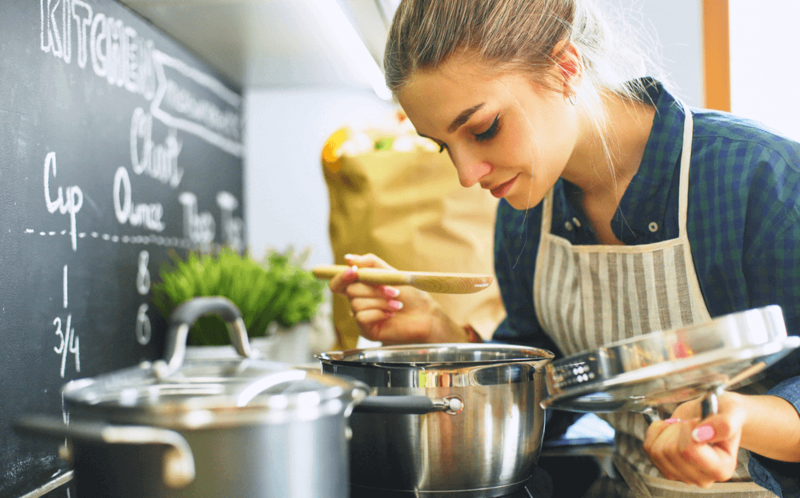 Since you can use oils and butter in all kinds of food, there are many ways to add CBD to your cooking. For instance, mix it with olive oil in a pan and you can use it in stir fries and other meals and snacks. You can also bake with CBD. All you need to do is follow a regular recipe for cookies, muffins, cakes or any other kind of treat and add CBD to the recipe. You can infuse CBD into butter, which makes it easy to add to all kinds of baked goods. It’s also possible to create your own CBD butter. For instance, you can mix CBD Oil in with peanut butter for a quick and easy CBD ingredient. You can use it in recipes or even just put it on toast for a quick dose of CBD. Can You Make CBD Drinks? Just like you can infuse foods with CBD, you can also create all kinds of CBD drinks. Whether you prefer smoothies, juices or even alcoholic drinks, you can add a dose of CBD to the mix for extra health benefits. CBD Oil is alcohol-based, which makes it easy to mix it in with liquids for digestion. You might want to add some CBD to your morning coffee or add it into a blender with fruits and milk for a delicious CBD smoothie. If you want some inspiration on how to add CBD to your drinks, check out some of the best CBD drink recipes. Whether you need a hot drink to perk you up in the morning or a post-workout drink to give your body some cannabidiol benefits, there are many great CBD health drinks to choose from. Can You Cook With CBD Isolate? While cooking with CBD Oil is a good option to make your own CBD edibles, you can also use CBD Isolate. CBD Isolate is a concentrated form of CBD in powder form. It contains high levels of potent CBD, making it perfect to use in all kinds of edible creations. Like with CBD Oil, you can add CBD Isolate to oils, fats, and drinks for an easy way to consume CBD. It may even work better than CBD Oil as CBD Isolate powder won’t alter the taste or consistency of your food or drinks. You can buy CBD Isolate online and add as much as you want to foods or beverages. We offer 1G CBD Isolate Powder which contains a whopping 990mg of CBD in each pack. How Do CBD Foods Work on Your Body? When you infuse your cooking with CBD, the food will work in much the same way as CBD Edibles. When you digest CBD foods, the CBD will be absorbed into your body and interact with cannabinoid receptors, which will give you many beneficial effects. The downside of CBD edibles and beverages is that they can take longer to have an effect. It may take you an hour or two to digest the CBD into your body. As such, some prefer to take CBD Tincture sublingually or use other methods for fast-acting CBD effects. If you want to start cooking with CBD Oil, it’s easy enough for anyone to try. Simply buy some CBD Tincture or Isolate and you can add it to all kinds of meals and recipes. If you don’t want CBD in your food, you can also create all kinds of fun CBD health drinks to get a quick daily dose of CBD. CBD is safe to use in all quantities, so use as much as you need in your cooking. CBD and long distance runners go hand in hand. While it’s known as a medical treatment, it can also be an incredible daily supplement. CBD can help relieve pain, speed up recovery, improve sleep, and even make you more alert in the morning. 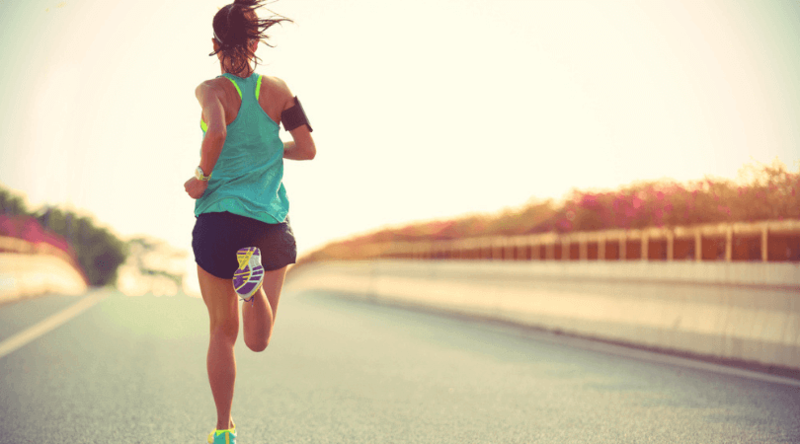 If you’re a long distance runner, implementing CBD in your daily routine can have massive benefits. You can use CBD in all kinds of ways, and some are as straightforward as taking a drop of oil once a day. You can even mix them into pre-workout shakes to get all your daily needs at once. Here’s a guide on CBD for long distance runners. Running is one of the most beneficial exercises. It can improve your endurance, add some muscle mass to your legs, do wonders for your cardiovascular health, and even improve your mental wellbeing. However, it’s not without its drawbacks. Runners can often run into problems such as muscle aches and strains. Recurring pain can even lead to physical and mental stress. Not to mention problems with sleep and waking up in a bad mood. CBD can help with all of these issues. It can also tack on some extra daily benefits which will improve your overall physical and mental wellbeing. Research shows that CBD has powerful anti-inflammatory effects. Many patients use it for chronic pain for Arthritis, fibromyalgia, cancer, and other conditions associated with pain. However, it can also be incredibly useful for general pain and inflammation from muscle aches, strains, and injuries. As such, using CBD once a day can help runners reduce delayed onset muscle soreness (DOMs) from running. It can also prevent aches and injuries by speeding up the healing process and help their body feel fresh in the morning. CBD can also help with sleep. It counteracts the effects of anxiety and pain, which can often reduce sleep. It can also help with insomnia and other sleep disorders. According to studies, it can even improve daytime alertness. This is particularly beneficial for runners who need to sleep for recovery but be alert in the morning. With its ability to reduce inflammation and improve sleep and recovery, CBD is great for runners. It also provides many other general benefits, such as reducing the risk of various health problems. Anyone can benefit from the effects of CBD, but runners may find it particularly beneficial for its analgesic, anti-inflammatory, and recovery-boosting effects. How Should Runners Use CBD? CBD can be a fantastic supplement for anyone who engages in regular physical activity. But how should you use it? There are many options to choose from, all of which have their own benefits. Here are a few of the best ways to use CBD for regular exercise. 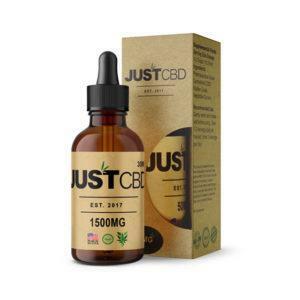 CBD Tinctures – CBD Tincture or Oil is one of the most popular ways to use CBD. All you need to do is drop a small amount under your tongue and hold it there for 1-2 minutes to absorb it into your bloodstream. This can go to work on your body fast, giving you all of the powerful benefits of cannabidiol. CBD Drinks – You can also add CBD Tincture to a shake, smoothie or other beverage to make a quick and easy CBD drink. For instance, you could mix some CBD Tincture into your pre-workout protein shake or coffee to add some extra health benefits. CBD Topicals – Topicals work via direct application to the part of your body where you need relief. For instance, if you’re experiencing knee pain from running, just rub some CBD pain cream into your knee for pain relief and recovery. 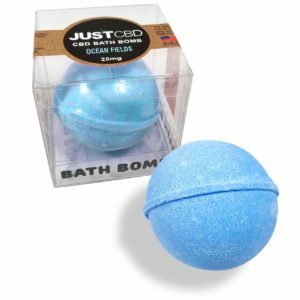 You can also use CBD bath bombs to get the effects all over your body. Topicals can be particularly beneficial to runners who need relief for physical symptoms. 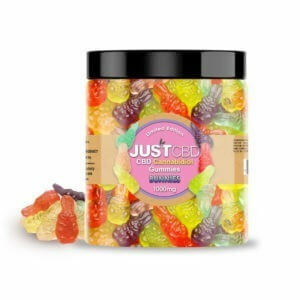 CBD Edibles – For something a little more fun, you can also try CBD Edibles. 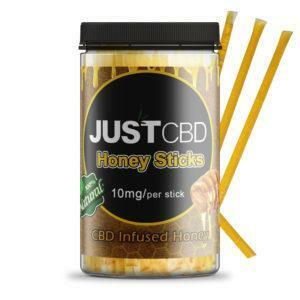 These come in many forms, including healthy CBD Honey Sticks and CBD Dried Fruit. These make for a great post-workout snack to give you the sustained health benefits of CBD throughout the day. These are generally the best methods of consumption for long distance runners. However, there are other options such as CBD vape products and doobies available in our online store. All of these products are made with hemp, which makes them legal to buy and use in all 50 states. CBD products often come without a recommended dosage. However, there are many studies and clinical trials which give some idea of how much CBD you should take for different symptoms. Long distance runners can benefit from around 15-25mg of CBD per day. This can provide the pain-relieving and anti-inflammatory effects which will help with general recovery. Those who are suffering from injury or strains may want to take a little more to help with their symptoms. If you need extra benefits for other symptoms, you may want to take some extra CBD. You can see guidelines on how much CBD to use in our CBD dosage guide. Don’t worry about taking too much CBD. There are no harmful health effects from taking CBD, even in high dosages. There’s also no risk of overdose or addiction from CBD. This makes it very safe to use at any amount, and if you need relief for severe symptoms, there’s no harm in taking more. There are a lot of benefits when it comes to CBD and long distance runners. It can speed up recovery, reduce muscle soreness, and even help with sleep problems and alertness. Taking it daily is the best idea to get a host of benefits for regular exercise, as well as reducing the risk of various health problems. It isn’t just great for running, either. Anyone who takes part in regular physical activity can benefit from adding CBD to their daily routine. You may want to mix it into protein shakes or add it to your daily stack along with supplements such as creatine and BCAAs. It’s safe, effective, and works well in conjunction with many other health supplements. If you want to get the effects of CBD, you now have all kinds of choices, from quick and convenient CBD Oils to tasty CBD Edibles. But if you really want to enjoy your CBD treatment, one of the best ways to do it is by making a CBD drink. CBD beverages work in much the same way as edibles. These are drinks which are infused with cannabidiol, so all you have to do is consume them to get the effects. 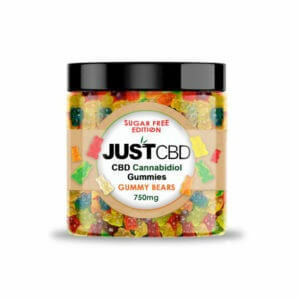 These may take an hour or two to digest, but when they do, they’ll give your entire body powerful medical benefits thanks to the effects of CBD. You can even make your own CBD drinks. Since CBD tinctures are alcohol-based, you can add them to all kinds of beverages for easy infusion. Whether you prefer hot drinks like tea and coffee, healthy beverages like fruits and smoothies or even if you want to make a CBD cocktail, you can. These are all quick and easy to make and they make using CBD more fun. Here’s a guide to making CBD drinks, along with some of the best CBD drink recipes to follow. CBD drinks are simply beverages which are infused with CBD. CBD, also known as cannabidiol, is a cannabinoid that carries all kinds of amazing health benefits for the human body. Consuming CBD can give you relief for pain, inflammation, seizures, anxiety, depression, nausea, headaches, and more. It can also help in the treatment of all kinds of conditions, from migraines to cancer. While you can sometimes find readymade CBD drinks in health stores, it’s easy to make your own CBD drinks with CBD tincture. You can do this with all kinds of drinks. Whether you want some extra health perks in your morning coffee or even if you enjoy alcohol, you can add some CBD to the mix. Since CBD has so many health benefits, it can even become a replacement for your morning coffee or smoothie. Many people use it as a daily health supplement to reduce the risk of various illnesses and improve mental and physical health overall. It’s enjoyable, healthy, and entirely risk-free, so making CBD drinks can be a huge improvement to your life. While you can sometimes buy CBD beverages, it’s easy to make your own, and you can do it in all kinds of ways. In fact, all you need to do is add some CBD Oil or Tincture to a drink to infuse it with the medical benefits of cannabidiol. All you need to do this is some CBD Tincture. These come in bottles of various quantities, along with a dropper. It’s easy to measure out the dosage of CBD you need and simply drop it into your drink. Mix it well and your body will digest the cannabinoids when you drink it. Alternatively, you can also use CBD Isolate to mix into your drinks. 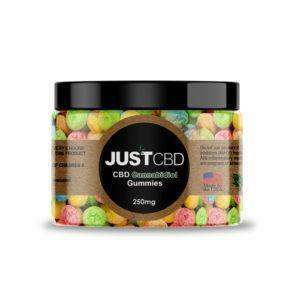 This concentrated form of CBD comes as a powder which you can easily mix for strong effects. Each jar comes with a whopping 990mg of CBD, so you can use this plenty of times. This is the best way to create your own CBD beverages. Now you know all about CBD beverages, it’s time to make your own. All of these recipes are simple enough for anyone to make. Between hot drinks, cold drinks, and even alcoholic drinks, there’s something that everyone will enjoy. Here are some of the best CBD drink recipes to try out for yourself. 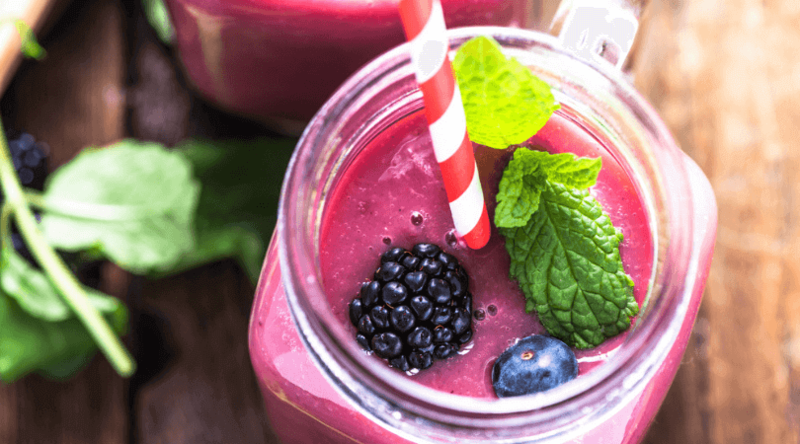 This delicious smoothie is perfect as a morning drink, pre-workout snack or for pretty much any other time of the day. It’s healthy, tastes good, and gives you one of your five-a-day. The added cinnamon can also help lower blood sugar levels, which adds to the huge health perks of CBD. Here’s how to make it. All you need to do to make this drink is add all of your ingredients to a blender and mix them together. Feel free to add some ice cubes if you want some crushed ice in your smoothie. This should give you 1 serving of only around 150 calories. It’s full of health benefits and goes down a treat. This recipe will give you a thick and creamy blueberry smoothie that’s packed with CBD. This is perfect to get your morning dose of CBD, but you can really enjoy this at any time of the day. It has a few extra carbs which makes it perfect for energy, but all ingredients are healthy and it’ll even give you some all-important vitamins and minerals. Here’s how to make it. This smoothie is also very easy to make. Simply add all of your ingredients into a blender and blend until smooth. The yogurt will make it thick and creamy as well as adding a healthy dose of protein. However, if you want a lighter smoothie, you can substitute it for milk. You can also experiment with ice, spices, and CBD if you want. If you need a higher dose of CBD, don’t hesitate to add a little extra oil to the mixture. The antioxidant effects of blueberries complement CBD perfectly, making this a super smoothie that does wonders for your overall health. If you don’t already drink tea, you should start considering it. Tea is fantastic for your health as it contains many antioxidants, a decent amount of caffeine, and can aid in weight loss and digestion. It’s also very easy to make CBD tea simply by adding some oil to your cup. However, if you want something extra healthy and special, try out this honey lemon CBD tea. This is the perfect drink to relax with in the evening, get your dose of CBD, and help you relax. Here’s a quick guide on how to make it. Simply boil your water and add it to your mug with the teabag. Give it a minute or two to infuse, then add your lemon juice, honey, and CBD oil or isolate. Stir together with a teaspoon until the ingredients are all mixed in together. Alternatively, you can also mix the ingredients together in a cup with cold water and heat it in the microwave. Within a couple of minutes, you have a hot cup of honey lemon CBD tea ready to drink! The honey, lemon, and tea will add some extra health benefits to your CBD. This is a great drink for taking care of a cold or sore throat. You can also add a pinch of ginger for some extra taste and benefits. Feel free to add more CBD if you want a higher dose. This is a flavorful hot drink that anyone can enjoy. Want to make one of your favorite Starbucks drinks at home, and get some CBD along with it? This recipe is great for you. This will give you a cool iced chai drink to wake you up in the morning and rejuvenate your body. It’s also a fantastic summer drink to cool you down and perk you up at any time of the day. Here’s how you can make it at home. The best thing about this recipe is that it’s exceptionally simple. Just add your chai tea bag to a cup of water and give it time to blend. Add your milk (you can add more or less depending on how milky you like it) then add a little honey to the mix. Finally, mix in your CBD to make a delicious, CBD-infused beverage. You can spice this one up by adding a pinch of cinnamon or vanilla extract if you’d like. You can also blend it with crushed ice to make it even more refreshing. Hot chocolate and CBD make a flawless mix. Both can help you wind down and relax at the end of the day. It’s a hot drink without much caffeine, which makes it perfect for nighttime relaxation. The easiest way to make CBD hot cocoa is to buy hot cocoa mix and blend your CBD oil or isolate in. However, here’s a tasty and healthy homemade CBD hot chocolate recipe if you want to get a little creative. There are a couple of ways to do this. You can add the milk and chocolate to a pan to melt the chocolate and mix it in. Alternatively, add the milk and chocolate to a cup then put it in the microwave to melt it, then mix. Add your sweetener and vanilla extract (optional) along with the CBD for a delicious and therapeutic hot chocolate drink. You can also tweak this one by adding some cream or using almond or coconut milk for extra taste. You can also add some extra CBD. Using a high dosage is ideal for relaxing and sedating your body and counteracting insomnia. Mint Julep is the ideal cocktail to add cannabidiol to. The soothing effects of mint complement the relaxing effects of CBD. As such, this is a classic whiskey cocktail that looks good, tastes good, and makes you feel good. Here’s how to make it. Crush the mint leaves in the bottom of a cup then add the bourbon, simple syrup, and CBD. Mix together and this CBD cocktail can be ready within a minute. You can also add ingredients to a blender and add some crushed ice to create an extra refreshing mint julep. While you might have some reservations about mixing CBD with alcohol, it may actually give you milder effects. One study found that patients who mixed alcohol with CBD had lower blood alcohol levels. As long as you don’t overdo the alcohol, this can actually be a relatively healthy combination. If you want a cocktail that’ll get you buzzed but still gives you one of your five a day and a bunch of health benefits, this CBD Strawberry Daiquiri is a top-notch choice. It’s an incredibly refreshing way to get a dose of CBD along with a delicious cocktail. Here’s how to make it. Making a strawberry daiquiri is like making a smoothie. Just add all your ingredients to a blender with some ice and blend until smooth. You can use fresh strawberries but frozen strawberries make this ice-cold cocktail even more refreshing. Feel free to add more CBD, but don’t go too far on the alcohol. No matter what your taste, there’s a CBD beverage for everyone. You can easily mix CBD Oil or Isolate into your morning coffee or juice. But if you want something extra good, these are some of the best CBD drink recipes full of health benefits. CBD is a safe and risk-free treatment, so you can use as much as you want. Feel free to experiment with these recipes and add more CBD. Just make sure you have enough of the other ingredients to make it taste good. You can buy CBD online, get these ingredients from any grocery store, and start enjoying the health perks in these refreshing drinks.